The bathtub on the left side of the picture is a Onsen of "low temperature 38 ℃" and the bathtub on the far right is "hot Onsen 43 ℃"Onsen. Famous Hot Water Kawayu Onsen is a large public bath where you can fully enjoy the famous Yugawawa Famous Hot Water Kawayu Onsen (acidity Myoban-sen). The hotel adjusts the source of 35 meters ahead of time with an appropriate heat exchanger, then does not add water or circulates, it will pour into the bathtub as it is. For that reason you can have plenty of fresh Onsen. 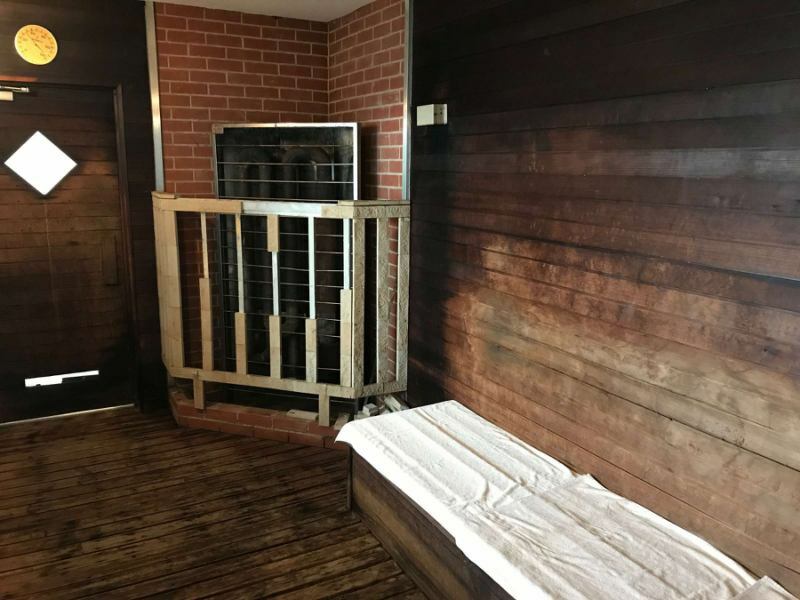 Kawayu Onsen order to fully enjoy Kawayu Onsen, we have prepared three Onsen bathtubs and three stages of "high temperature, medium temperature, low temperature" in the temperature. "Low Temperature 38 ℃" is the moment you put your feet in, but I think that it feels like "U, Ku! ", Please sink your body as it is and sit still.It feels as if you are taking a bath! "Nuruyu" was such a pleasant feeling ... · · ·"I think there is! Acidic·Sulfur-containing·iron(Ⅱ)- sodium - sulfate·Chloride fountain (Hydrogen sulfide type)※According to "Onsen Analysis"
PH is about 1.8, acidity is strong (acid is stronger than lemon juice or our gastric juice) It is acidic enough to dissolve metal if it is immersed, but it dissolves the sterilizing effect and old horny matter on your skin A smooth effect can be expected. ◆Indication (Bath)※According to "Onsen Analysis Appendix"
◆Contraindications (Bath)※According to "Onsen Analysis Appendix"
We also do cleaning every day in the bathroom, but please be aware that the floor may be slippery due to adhesion of Onsen ingredients etc. It is "source" of this facility. It is located in front of the hotel. 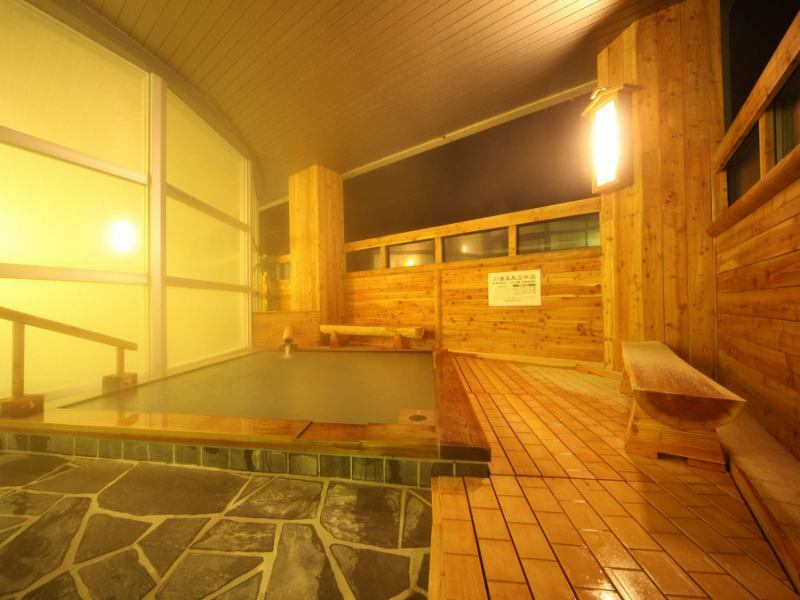 It is located about 35 meters from the public bath and supplies fresh Onsen. Onsen starts to oxidize by leaving the ground and touching the air. Oxidizing various Onsen ingredients will deteriorate and impair efficacy and effect. This facility is "source sprinkle" which pours newborn Onsen directly into the bathtub on the ground. 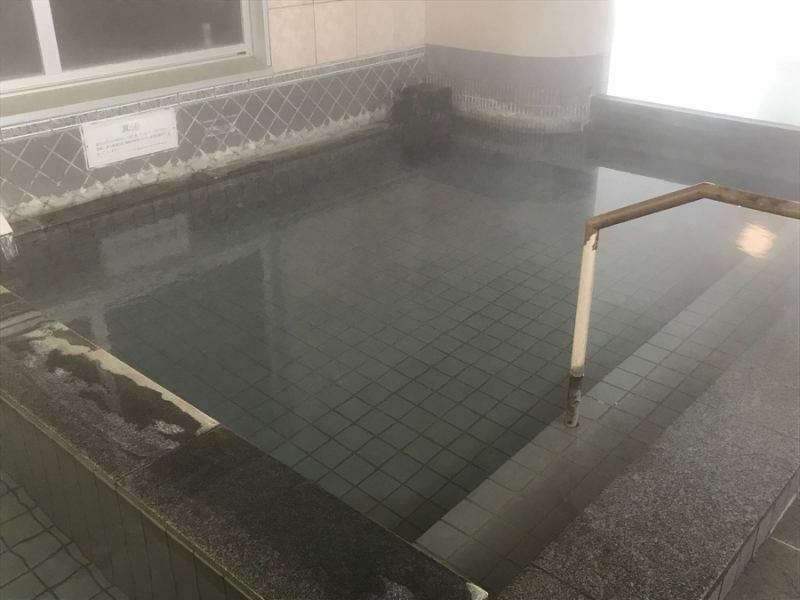 Adjust to the temperature suitable for bathing by carrying out "heat exchange" of a method not mixing with fresh water from the source of about 60 ℃, you can enjoy "Kawayu Onsen" without warming / adding water at all. Moreover, by performing "heat exchange", the temperature of water to be charged to the boiler is raised to about 40 ° C, contributing to suppression of global warming by suppressing the use of heavy oil. Heisei (time period) is an outdoor bath which was renewed in December 2008. We used lots of trees such as larch and finished it in a rustic atmosphere. I placed a tree bench next to it. Customers who are sick occasionally dozing off···Please do not catch a cold. Of course this is "sourcing the source as it is". Temperature is set to medium temperature 41 ° C, but because it is outdoors it may be affected by outside air temperature, temperature may slightly rise and fall. I use a well bath water bath. Do you know that it is true water (Mayu)? 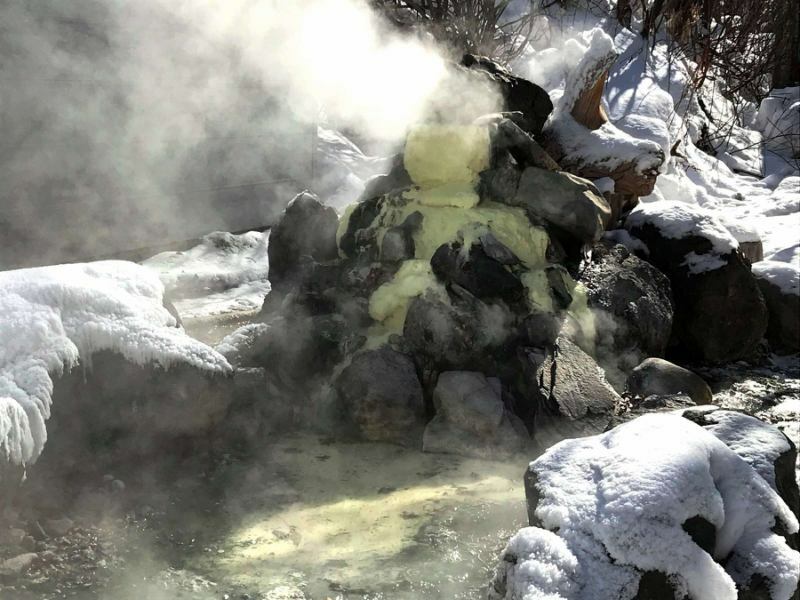 Kawayu Onsen has a very strong acidity (PH about 1.8) so it has irritation on your skin. We have ordinary tap water bath tub so that we can enjoy even small children and sensitive customers. That's "Mayu (Mayu)". There is also a way to wash away the Onsen ingredients with this hot water (Mayu) after tasting the Onsen carefully. It is recommended especially for sensitive skin customers. 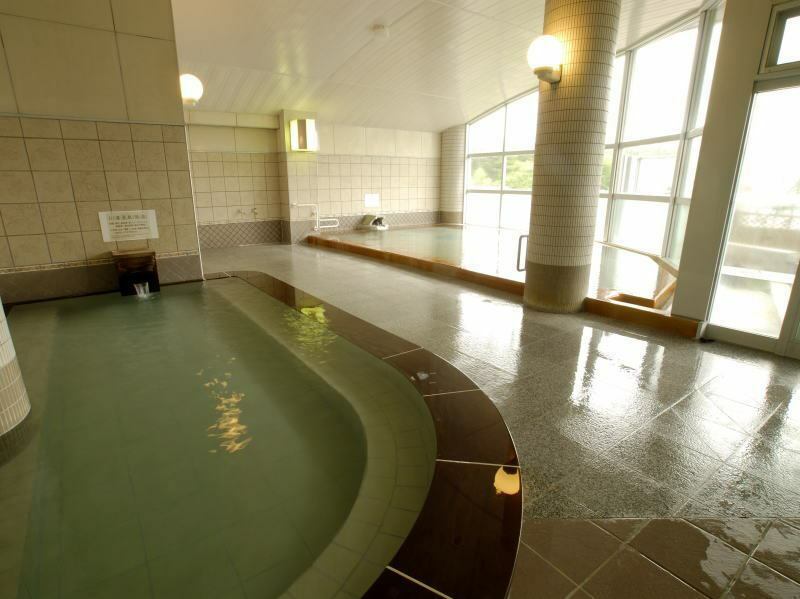 In this facility, we use well water in main facilities such as hot water (Mayu) in the public bath. Three places including open-air bath · Enjoy Onsen 3 kinds! Of course it is all draining from the source! The day-trip hot spring business hours are from 13: 00 to 21: 00 (last reception 20: 30). In addition, we have a rest space where you can rest at your feet. Vending machines and shops in this facility sell soft drinks at general retail prices. Please use it. In addition, at the time of crowded GW · Bon Festival etc, we may not be able to use the change of business hours, group grouping etc. Sorry to trouble you, please understand.